I cannot say enough about Dan Welden. He is a warm and generous man. It's been a privilege to be able to complete a few solar plate prints under his watchful eye. It’s been truly invigorating to create solar plate prints from work that I completed using traditional and digital methods. I was able to output my mixed media digital creations onto acetate paper that was later used to etch my image onto a plate for printing. There was a similar excitement I felt waiting for the print to come out the other side of the press that I used to experience while waiting for an image to appear in the darkroom. I can’t wait to make some more prints in the future with Dan. 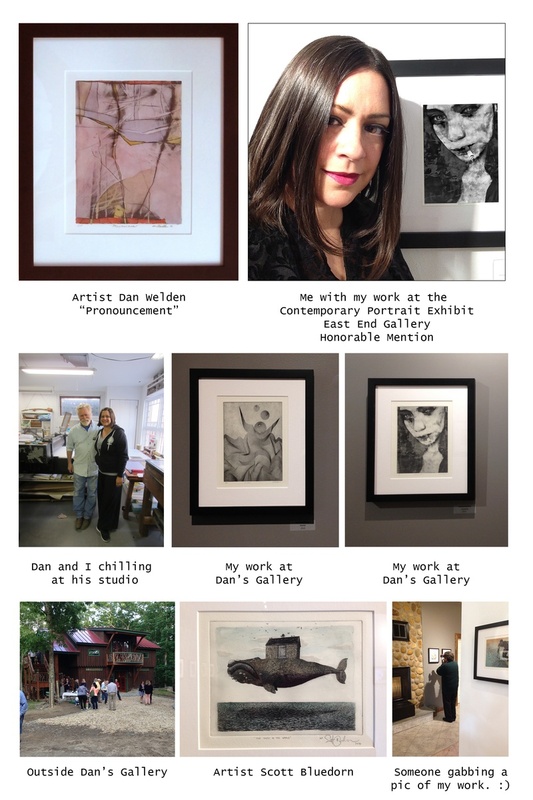 I also have to mention that I am now an extremely proud owner of a Dan Welden original that is on display in my studio. It’s turned out to be a great inspiration as I’ve turned my attention recently to creating some abstracts. The image Amelia I created using this method was also displayed at East End Arts Gallery during the Contemporary Portrait exhibition and it received an Honorable Mention. Very Cool.